christianrock wrote: Not to try to give you any more GAS (ok maybe I'm lying) but do you know what sounds good? That little Pittsburgh SV-1. Seems to just hit the right spot. The Pittsburgh SV-1 might mean falling down the MODULAR MONEY PIT (even with the standalone Blackbox, for all I know). This is not where you want to be if you are concerned about not spending money. I've only had three Pittsburgh modules ever, only the Outs has stayed. The Analog Delay was weird and the MIDI2 had some locking issues. The SV-1 does sound very good, but I've heard of tracking issues from initial batches. My personal Euro "all in one" voice is an Intellijel Atlantis, which I would recommend if you like "Roland" vibes. (It is inspired by the SH-101 but not an exact clone, kind of akin to DeepMind 12 vs Juno 60). Unlike the SV-1 Blackbox, you'd need all the Euro modular goodies (case and MIDI-CV converter) though. Modular? No. Not for me, pass. Well. The SV-1 is more like a mono synth that has lots of patch points - like the Moog Mother 32 or the Oberheim SEM Two Voice Pro... there's also the Analog Solutions Telemark... and others... including of course the Korg MS-20!! The SV-1 is actually routed internally so it will work without any patch points (just an input for notes, and an output from its VCA). The patch points are there to override its internal patching. With the "keyboad" module (which is pretty reasonably priced) it looks spiffy too. They say the ADSR module is new - and I think that's one reason why I like this synth so much. Very nice sounding envelopes. Definitely sounds nice, just not my thang. So, I have to hand it to Reddit. I sold all three items I originally intended to sell - all on Reddit's r/synths4sale. Carry on. And now you have other better toys. Did the MS2000 survive the great selloff of 2017? Oh hell yes. I wouldn't sell that unless circumstances were dire. I only got rid of the Minilogue, JU-06 (because it is redundant now), and a Roland SP-303 sampler that I never use. You don't want to keep the Honorable EP waiting. No, no sir. I know, I know! But, I am working all the time. When I am done working, you will get your clipz. 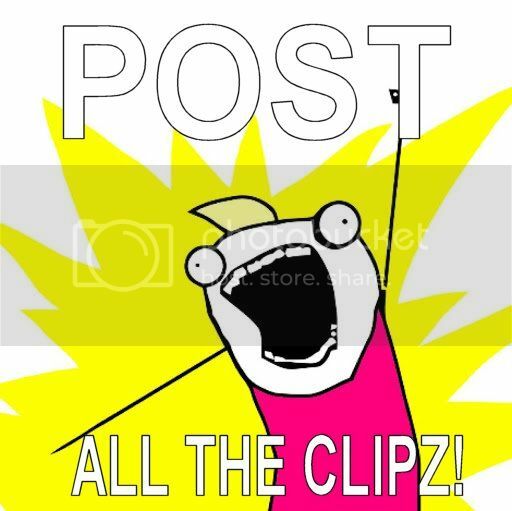 All the clipz. I'm pretty sure I've poasted a video clipz already \. SI, you recently made a comment to me about Juno 6 voice chips being replaced. Are you confusing that with Juno 106? Or is there some known issue I'm unaware of? ClavAnother wrote: SI, you recently made a comment to me about Juno 6 voice chips being replaced. Are you confusing that with Juno 106? I likely meant 106. As far as I can remember, I don't recall seeing anyone complaining about Juno 6's.